Roll Roll Pirate! 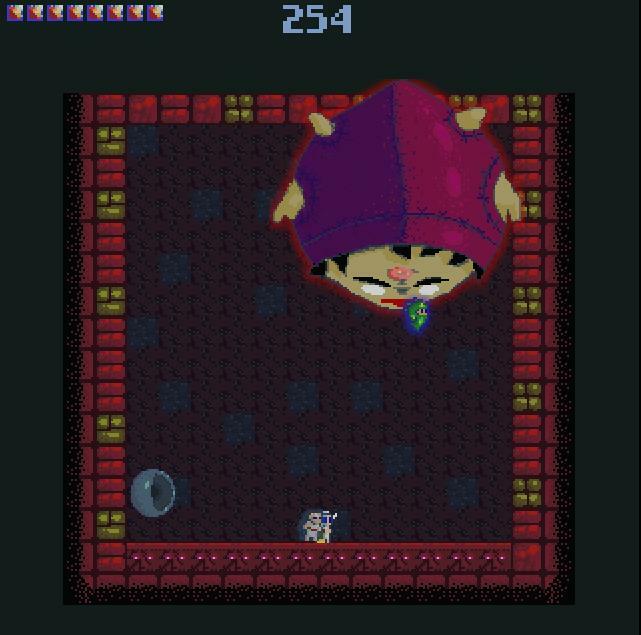 by DevilishGames is an obstacle course game in which you are a ball pirate(?) trying to recover your tresures which were scattered through several islands. So, what’s different on this game? The control scheme! At first, it looks awful to control… since you mainly have a foward and backward movment, but the left and right arrow rotates the whole island! But when you get past the tutorial island and start playing, you’ll understand why the controls are made that way! Try it out at CandyStand’s Roll Roll Pirate! webpage! Try it at Amanita Design’s Shy Dwarf’s page! It’s not only the obvious obstacles (lava, spikes, etc)… but if your wing touches any corner or wall, it’s bye bye pig! Wanna play it? Point your browser to Newgrounds’ When Pigs Fly page! By pausing the game and switching the perspective a little bit, Kamal is able to make long jumps and reach areas he wouldn’t be able to otherwise. Watching the video, I think I might get a bit dizzy with it… but the game looks pretty interesting anyways. If you liked it, keep an eye at the Dutch Game Garden website… Kamal is coming soon. Try it out at Darthlupi’s official Wonder Bounce page! From Intuition Games. One of the creators Greg Wohlwend describes it neatly: ‘you control a bicycle through technical diagram suburbia’. Nijikaku is the ultimate Mugen fighting game for japanese otaku! Played it a long time ago… some months after this blog started, I remember trying to make a post about the game, but couldn’t find the info to it. Notice it’s a game with fanmade characters, so it might have some NSFW content. But just earlier today for some reason I remembered this japanese meme character known as Waha! (which is actually a character from a famous eroge and also symbol to a japanese image board), and with that I decided to continue searching more about it.